Your specialist in contract research, fee-for-service and products for proteomics, biomarker & target discovery and validation, protein identification and characterization with more than a dozen years experience in modern protein analysis and proteomics. Our portfolio is available as PDF for downloading. We offer fully supported contract research, fee-for-services and advanced products for gel-based and gel-free proteome analysis (proteomics), protein identification, protein & peptide sequencing, characterization, analysis and epitope mapping by mass spectrometry (MS). State-of-the-art technologies and methods are routinely employed for differential proteomics studies and quantification and validation of regulated proteins, biomarkers and targets. For separation of complex samples we apply extreme high resolution two-dimensional gel electrophoresis which theoretically allows to resolve up to 10000 protein spots in 40 x 30 cm 2DE gels. 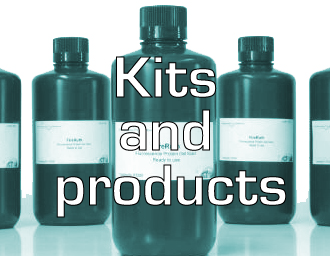 As gel-free methods for global comparison of proteomes we employ LCMS-based isobaric labelling techniques like iTRAQ™ and TMT™ proteomics or label-free nanoHPLC-ESI-MS/MS based approaches. When absolute quantification is required, MeCAT proteomics is very useful for pharmacokinetics of protein drugs allowing ultrasensitive absolute quantification of intact MeCAT lanthanide labelled proteins down to low attomol range of protein by ICP-MS. Furthermore protein phosphorylation and naturally occurring metalloproteins can be analyzed by quantification of phosphorus or other elements using ICP-MS in parallel. In addition we employ quantitative mass spectrometry of proteins and peptides by isotope-dilution analysis (mass western) for biomarker validation and quantification of protein expression, protein drug concentration in plasma and absolute quantification of proteins and their isoforms. 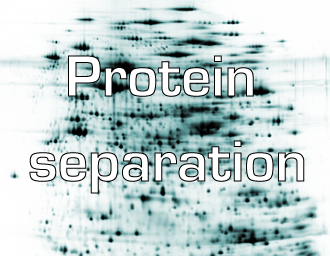 In plasma proteomics and CSF proteomics we deplete high abundance proteins by affinity removal before applying 2DE or gel-free proteomics methods. Proteome Factory is also specialized in providing full services for complete protein sequencing and characterization using a combination of N-terminal and internal Edman protein sequencing, HPLC, MSMS mass spectrometry and de novo peptide sequencing. 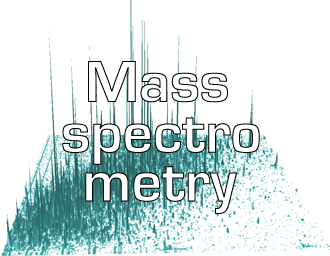 High resolution mass spectrometry is employed for epitope mapping of antibodies and identification, quantification and characterization of proteins and peptides including determination of phosphorylation and glycosylation sites and optionally their structure. 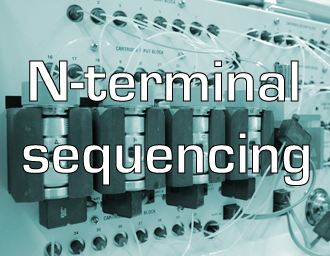 Proteins and peptides are identified with conventional database search engines or by de novo peptide sequencing. Our quality management ensures contemporary, high quality and reproducible standard analyses. The SOPs (standard operating procedures) are applied to all standard analyses in fee-for-services as well as research projects. All analyses based on electrophoresis, chromatography and mass spectrometry are done in our own labs in Berlin to ensure consistency and confidentiality.